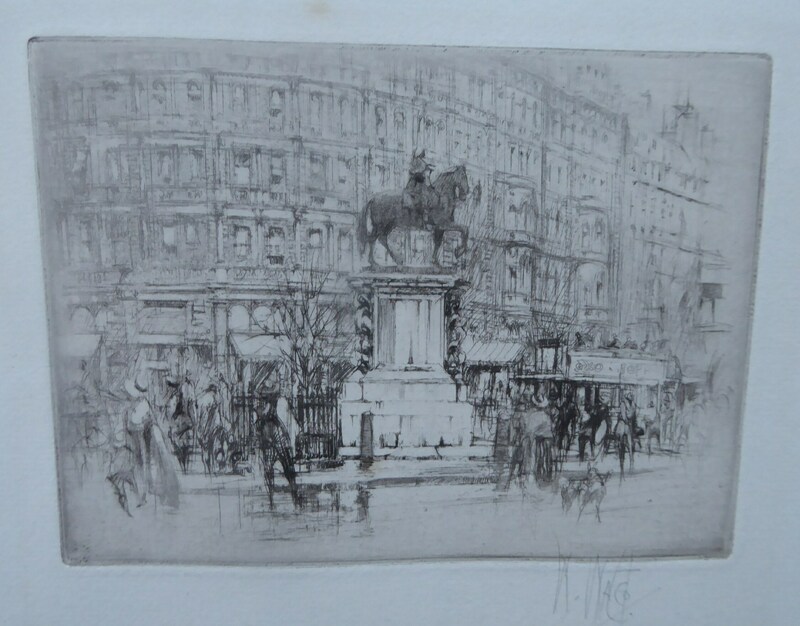 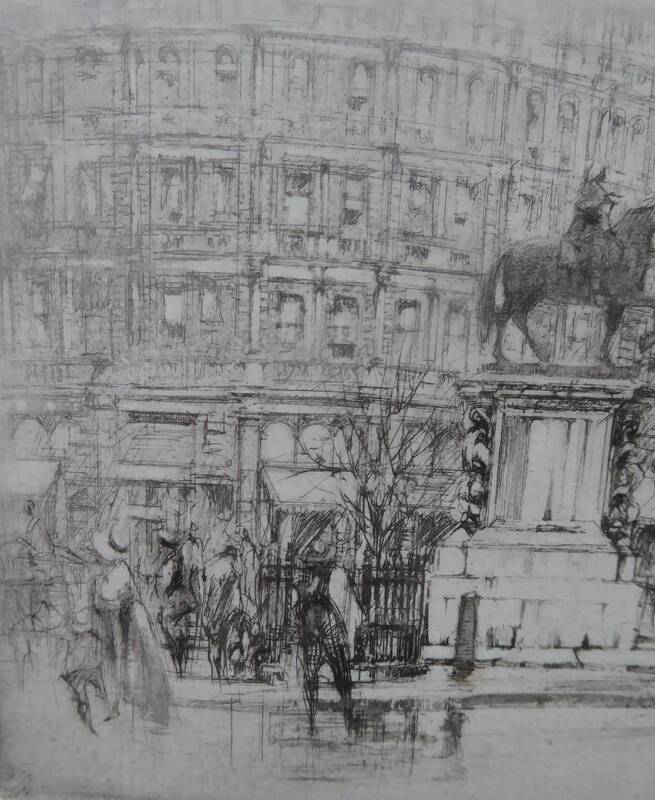 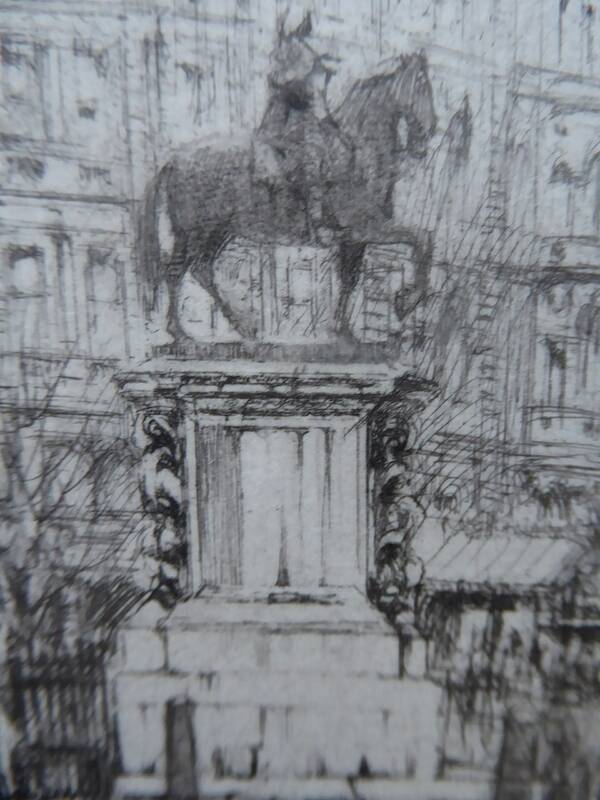 It shows the magnificent equestrian statue of King Charles I at Charing Cross in London (1633). 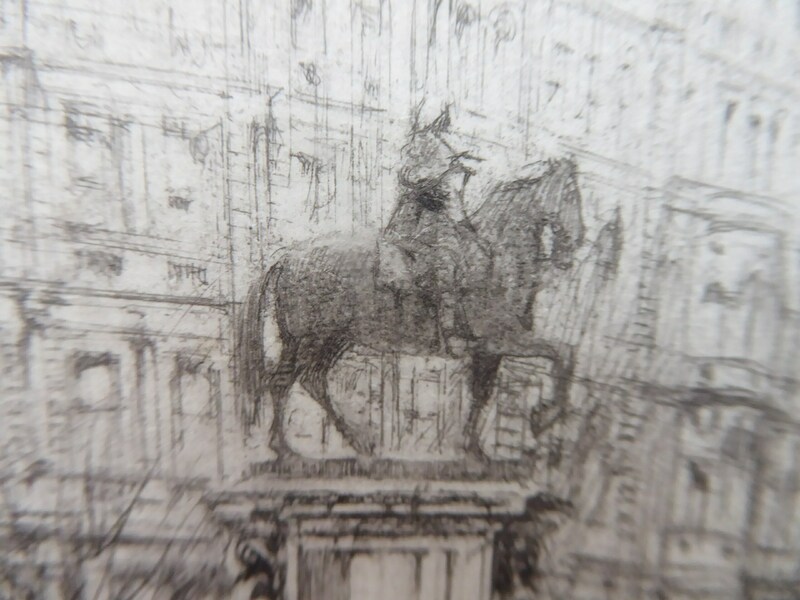 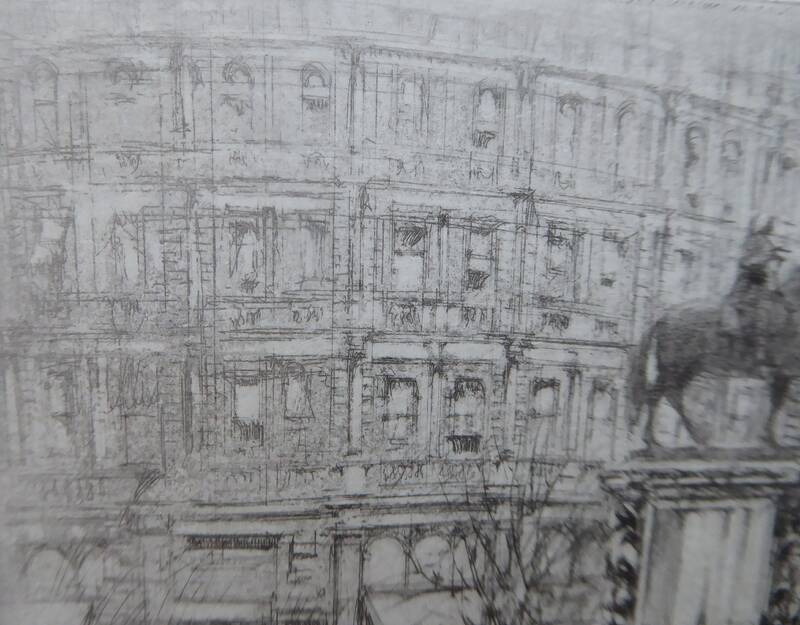 The statue is now located on a high plinth in the centre of a traffic island and marks the spot of the original site of Charing Cross - this was the spot from where all distances to London were once measured. 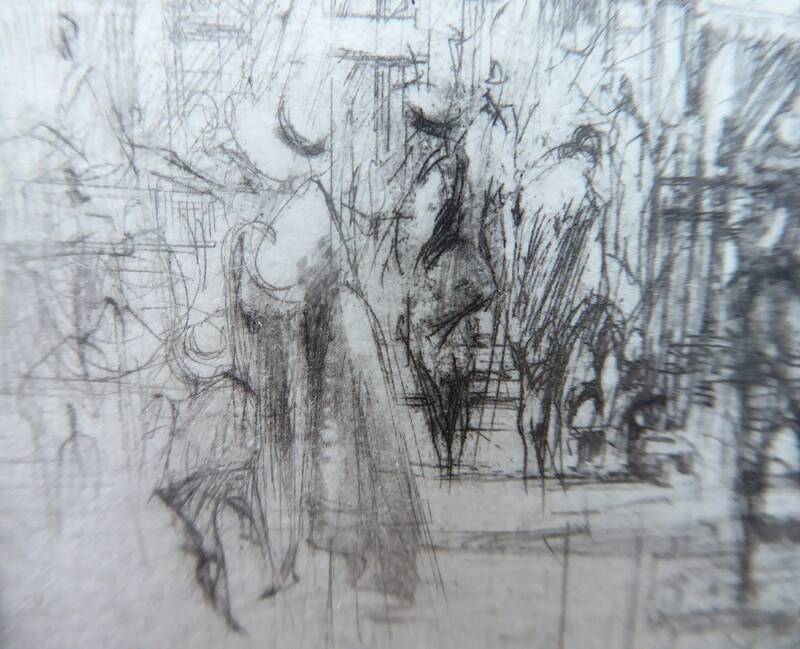 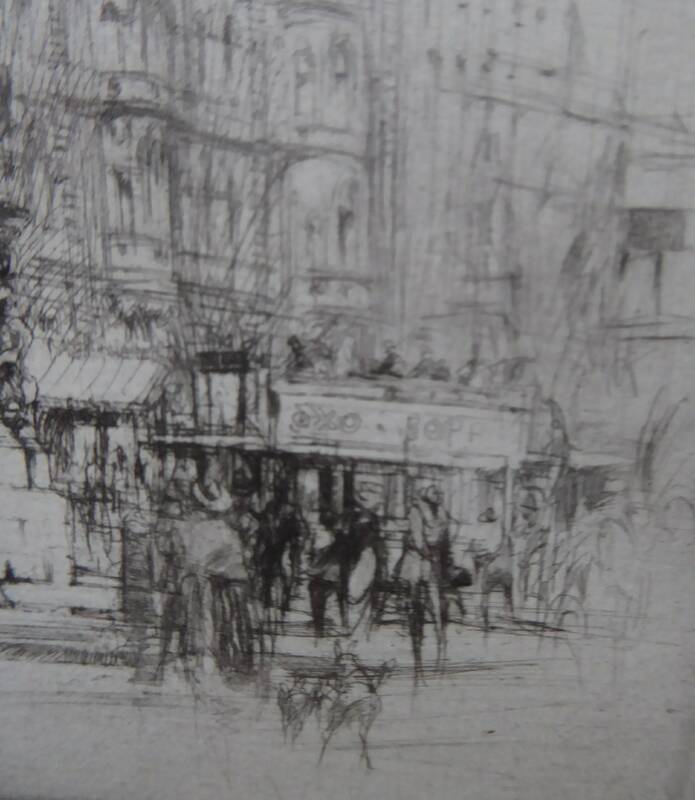 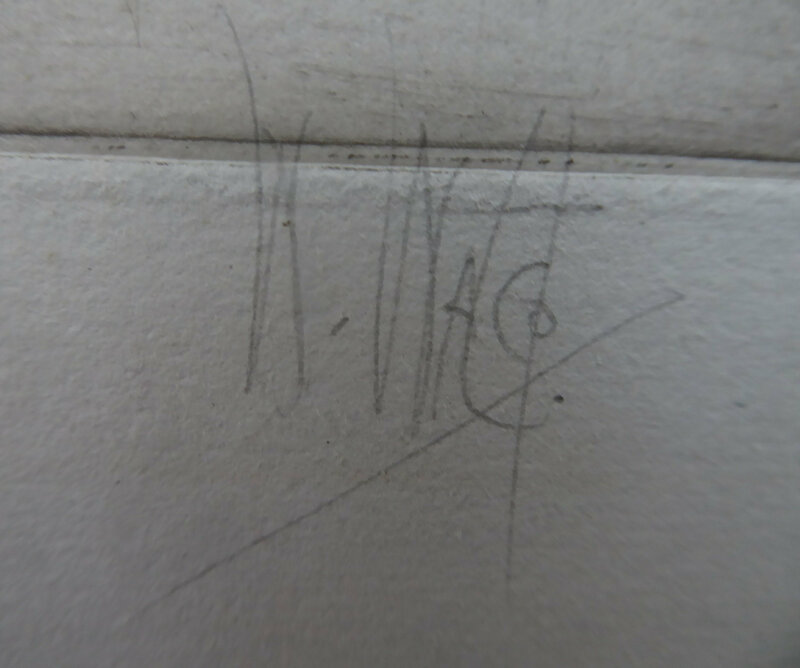 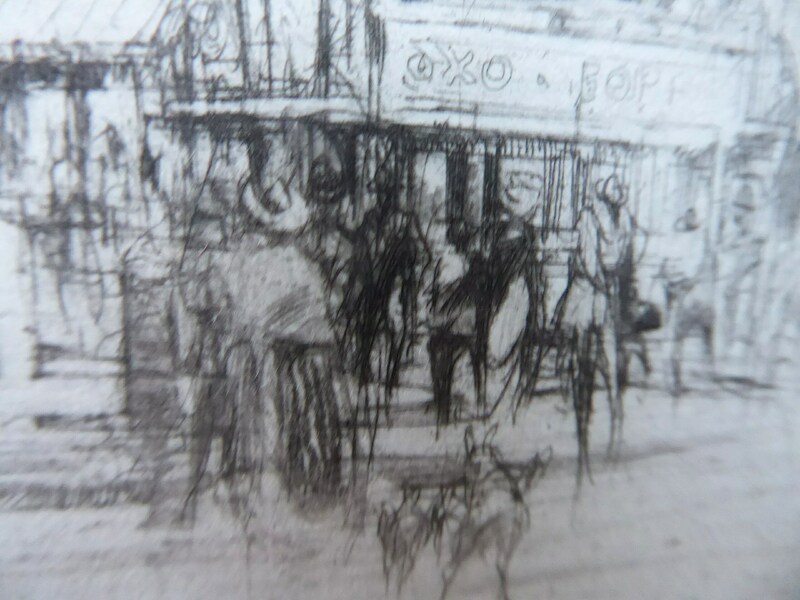 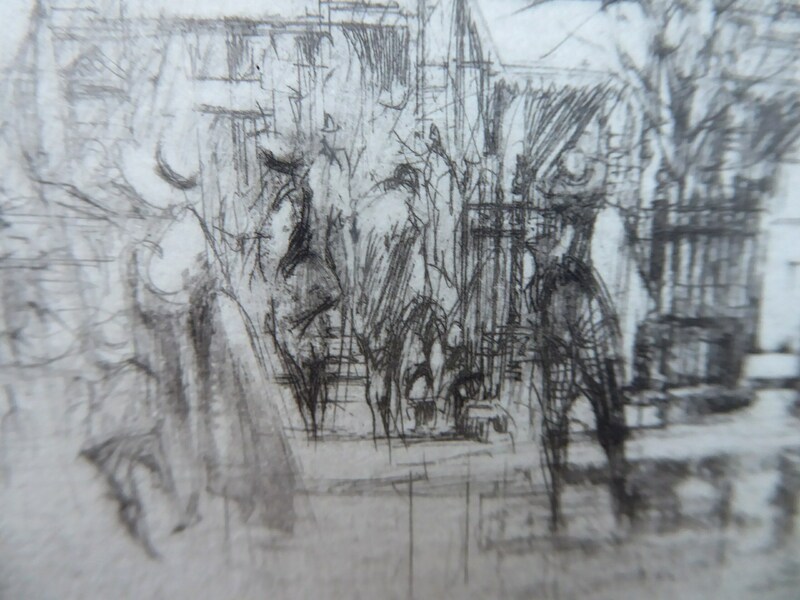 The image measures 9.2 x 12.5 cm and is pencil signed.